Primer is a must-have product in your makeup bag if you want to smooth over pores, fill fine lines, and hold makeup in place. If you're looking for a primer that gives you a flawless look with none of the shine of conventional primers look no further than Colorescience. 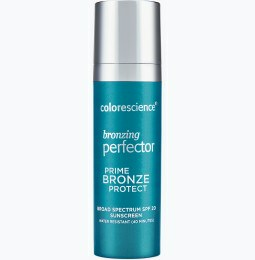 Can you wear primer by itself? Makeup face primer is an oft overlooked makeup essential that should be in everyone's repertoire. Primer for oily skin helps keep makeup from melting and sliding down your face in the middle of the day, while minimizing the look of pores and fine lines. Why does oily skin cause breakouts? Oily skin is often acne prone because excess oil traps dirt, dead skin, and debris. In turn, your skin can become bumpy and uneven when blackheads and breakouts rear up. Many apply makeup to cover up unsightly blemishes; unfortunately, the wrong makeup can aggravate oily skin and acne to create even worse breakouts. Packing on more layers of makeup inevitably repeats the cycle and makes skin worse. Without a doubt, people with oily skin have the worst time finding makeup that suits their condition. That's where Colorescience comes in. We understand that there's no one-size-fits-all makeup for every skin type. That's why we developed primers that control oil, nourish dry skin, calm irritated skin, brighten dull skin, and give your skin a bronzed look. Can I wear primer without foundation? You can absolutely wear primer for oily skin without foundation. If you like the natural look but want to control the oil on your skin, then use our cosmetic products for oily skin and stick to a primer made for oily skin. We have the perfect oil control makeup primer and oil control makeup powder for you. Clients have raved about the effectiveness of this primer to conceal and control their problem areas. This oily skin primer helps minimize the look of large pores and smooth the skin’s surface. The foundation mineral primer provides a light barrier that helps control shine and even out pores. 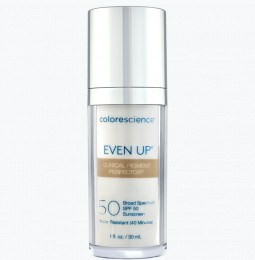 It also features SPF that helps protect skin from the sun. Use our primer for oily skin to create a thin layer that offers a matte look—without having to reapply in the middle of the day. Dealing with dry, flaky skin? Check out our dry skin primer and get the radiant complexion you’ve always dreamed of. If you’re looking for primer for oily skin, browse our selection of skin-friendly makeup must-haves.